Patrick is Executive Vice President of Danforth and focuses primarily on Sales, Estimating and operation of our Client Solutions Division. He provides a significant leadership role in setting the strategic direction and business structure of the overall company. He explores, identifies and analyzes opportunities for new business ventures and partnerships for all markets. Patrick also assesses long range planning, growth strategies and staffing requirements to meet our business commitments and is always focused on providing value to our customers through innovative solutions. 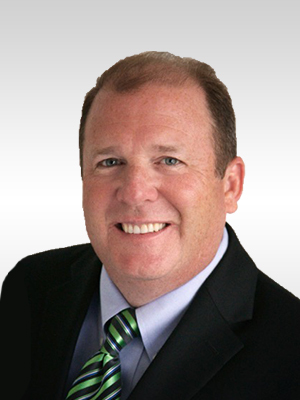 Patrick joined Danforth in 2010 as Vice President of our Client Solutions Division. He was promoted to Senior Vice President and appointed to the Board of Directors in 2014, and continues to be an integral part of our growth geographically and through market diversification. Patrick brings over 30 years of industry experience. Prior to joining Danforth he served as District General Manager of a Fortune 100 international building technology firm and was responsible for the profitability of five business divisions in the Northeast United States. These divisions included, building automation, energy solutions, fire detection, building security and service. Patrick started his career with a large local mechanical contractor and worked in many capacities ranging from Drafting, CADD, and Estimating to Project Management and Sales Engineering. Patrick brings three decades of business and construction industry expertise to Danforth which reflects the strength of our company and the value we provide to our clients. His market experience includes Municipalities, Higher Education, K-12 Schools, Healthcare, Industrial and Commercial facilities. Each one of these markets has its unique challenges and Patrick has the business knowledge and leadership skill to guide our customers through their challenges with proven solutions. Patrick is a native of Western NY and is an active participant in the business and charitable community. He holds a Bachelors of Science degree from the State University of New York College at Buffalo in Industrial Technology and Associates in Applied Science from the State University of New York College at Alfred in Mechanical Engineering Technology with a concentration in HVAC.